The new show established by Factory78tv broadcasts exclusive interviews with talented African entertainers irrespective of their art, sport or music genre. “Face Off” interviews allow guests to share their stories and talk deeply about their crafts while giving good advice to the younger generation hoping to emulate their successes. The first edition of the “Face Off” series is with the acclaimed Nigerian music video director Akin Alabi. 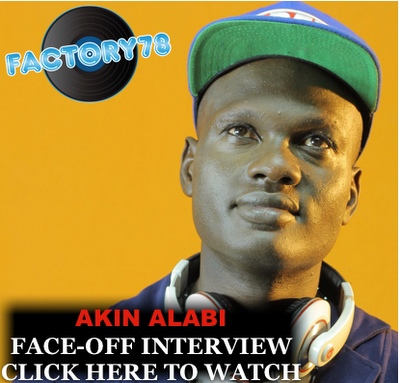 Watch the educational interview with Akin Alabi right here on “Face Off” with F78TV.